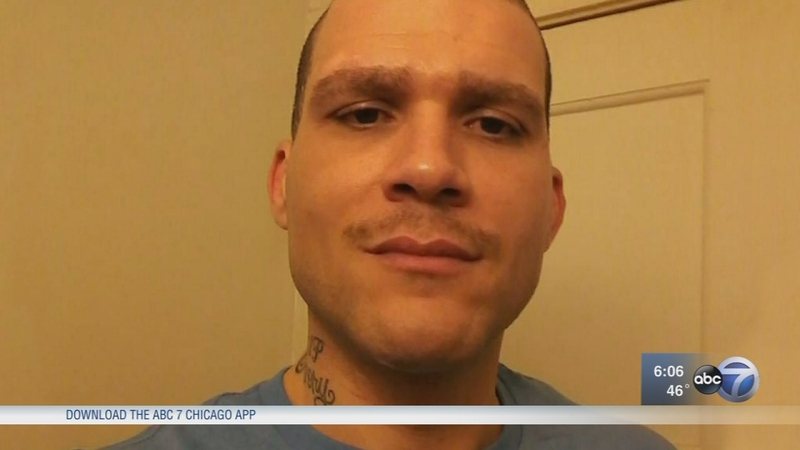 AURORA, Ill. (WLS) -- A wanted fugitive who escaped from a hospital in southwest suburban Aurora is back in custody, the Kane County Sheriff's Office said Thursday. Police arrested Billy Cole, 38, outside a relative's home in Quincy in western Illinois. Cole was taken to a hospital Monday after authorities said he led police on a high-speed chase in a stolen car and allegedly ran from officers after crashing the vehicle into a traffic signal near Route 25 and Ashland Avenue in Aurora. He escaped to a nearby cemetery while being pursued by police and a canine team. An officer took down Cole with a Taser. But the I-Team learned Cole walked out of the hospital Tuesday, despite being the subject of a multiple felony investigation. Investigators said "he was not technically in custody at the hospital but the subject of the investigation" and that they did not have a deputy stationed there to stop him. Kane officials said charges had been approved but they hadn't managed to get back to the hospital with the warrant.